ECom School ERP is designed to pave the future of next generation schools. Our school management system integrates the various functions and processes of the institutions to facilitate total campus management of these educational institutions. 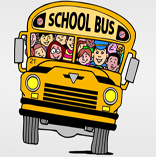 It provides the school administration complete solutions to manage their school. It facilitates a healthy interaction between the school, teachers, parents and their wards which thus fostering a transparent growth culture for the students at school. 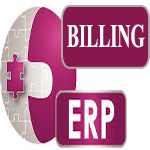 Our billing ERP prevents you from being overburdened by issues like multiple revenue streams, customized payment terms, partial and full payments, tax allocations, miscellaneous charges and more by helping you to manage and automate your billing process. You can integrate the entire billing process work flow from managing quotations to generating receipts, Performa invoices and invoices. You can also generate miscellaneous certificates like service and maintenance certificates etc. You can adapt our billing management software to your company’s specific requirements thus reducing billing errors and improved customer satisfaction.